In fact, a scrapped Van is a cause of worry for the owner as you don’t know what to do with it. Are you seriously confused? While it may come across as junk, rubbish or unwanted. However, it is not exactly so. There are some who are willing to pay cash for the van. Yes, We Van Wreckers Auckland are the one who are ready to buy any kind of your old, broken, unwanted van. One more reason to smile is that we remove your van for free. But we will pay you the best price in Auckland. Often you don’t know that you can give away your old, broken or unwanted van for BIG cash! There comes a time when your van ceases to be your asset and instead becomes a liability. That is the time you need to get rid of it for good. Here comes the importance of Van Wreckers Hamilton. We buy any kinds of van. Therefore, just call 0800 392 392 or click here. 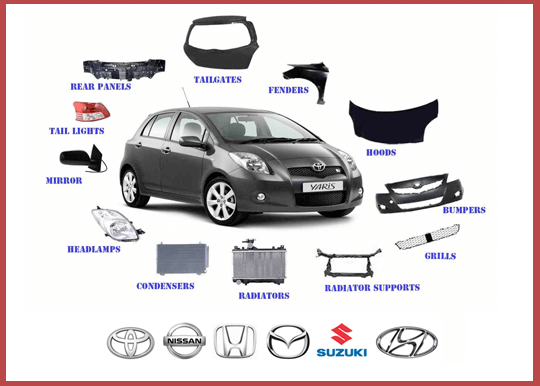 Van Wreckers Bay of Plenty just don’t pay cash for your old van here at Japanese Car Parts – we buy all sorts of car, 4wds, trucks, buses as well. Plus, we don’t mind what condition the van is in and we operate throughout Auckland. To find out how much you can get for your old your broken vehicles, give Van Wreckers a call now on 0800 392 392. If you want to find out more, click on here. We Van wreckers offer a same day service if you are in Northland or Whangarei too. The process is simple – give us a call to get a quote, we’ll come to you, you’ll get the cash in your hand, and we’ll take the vehicle away, so you never have to look at it again. Plus, the cash you will get will be top dollar. Therefore, contact Van Wreckers today to get the process started and get a quote.